What trends do you think will shape the future of UK plastics? 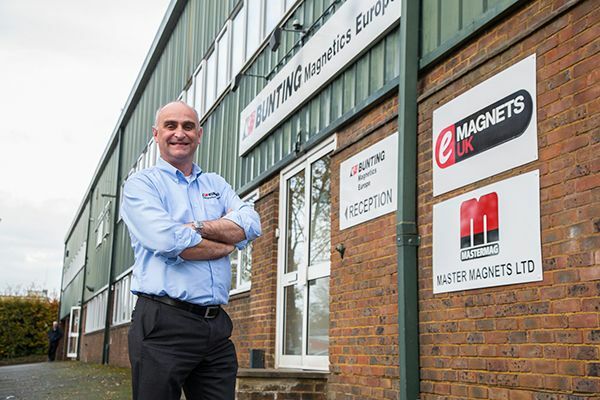 How will Bunting Magnetics respond? The plastics landscape has changed dramatically in the last six months. The BBC’s Blue Planet brought plastic and plastic waste into the global headlines and there is a great deal of negativity and fake news. The plastics industry is facing unprecedented change with a drive towards truly recyclable products and a reduction in or elimination of single use plastics. Our equipment removes metal both in the production of primary plastic products and during the recycling process. However, we need to design Magnetic Separators and Metal Detectors that will enable better metal separation, especially in the recycling process. The Stainless Steel Separator is one example of plastic industry driven product development. How has Bunting Magnetics developed during your tenure? 3 years ago we changed our marketing strategy with the simple aim of increasing awareness of who we were. We now are very proactive with the industry press, on social media, and at exhibitions. The business totally changed in January 2017 when we purchased Master Magnets, one of our main competitors. This expanded our customer base and broadened our product portfolio. Our aim is to look after our customers from the time that they first enquire right through to well after the equipment has been installed and is operating successfully. This means regularly visiting customers and not just relying on a phone call or email. That face-to-face relationship is really important. Managing the acquisition of Master Magnets and amalgamating the sales and marketing teams has been challenging, but in a positive way. As with any acquisition, many of the staff were concerned about potential changes. However, Master Magnets was already a very successful business and the team had decades of experience. 17 months later and we are exhibiting, as a team, at major international exhibitions such as IFAT. I was brought up with the ethos of doing everything as well as I could and enjoy what I was doing. If I stopped enjoying the work, then it was time to move on. Too many people get stuck in jobs that they don’t enjoy and it reflects on their work. Be brave and make that change and find something that makes you want to get up in the morning. I do a good rendition of the Charles Aznavour song ‘She’, singing and playing the guitar. The song is from 1974 and was re-released by Elvis Costello for the movie Notting Hill.